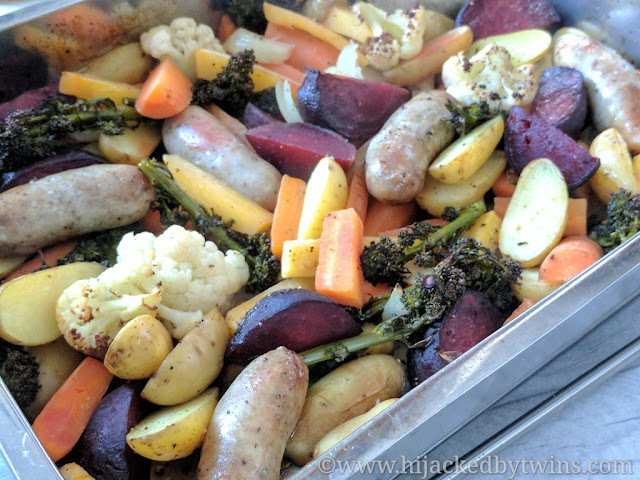 Today's post is a guest post recipe and a meal that we love! 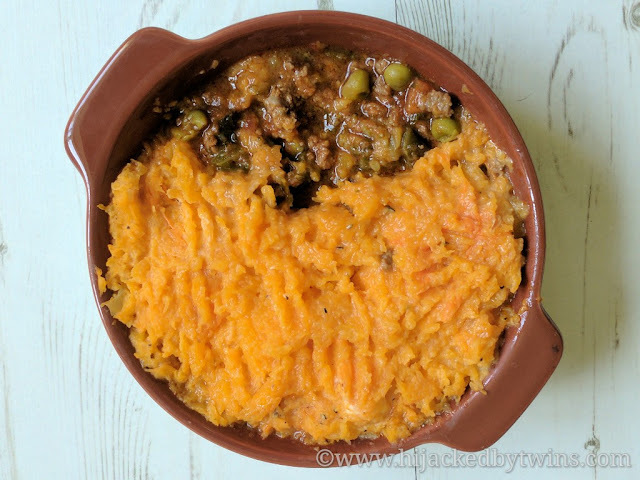 Cottage pie style meals are always a huge success in our house. One of our favourite ways variations of cottage pie was my Cottage Pie topped with Butternut Squash Mash that was a quick meal thanks to the Pressure King Pro. But this recipe that has been shared with me is an even quicker one! This week is Great British Beef Week so this weeks recipe with Aldi features their 100% British beef. Aldi are committed to sourcing only 100% British beef that comes from Red Tractor assured farms. This means that they are able to trace back all of their meat to the farm of its origin. The Red Tractor is one of the largest food standard schemes in the UK and they ensure that the welfare of the animals is protected, food safety is paramount and that everything from the care to packaging of the meats is environmentally friendly. 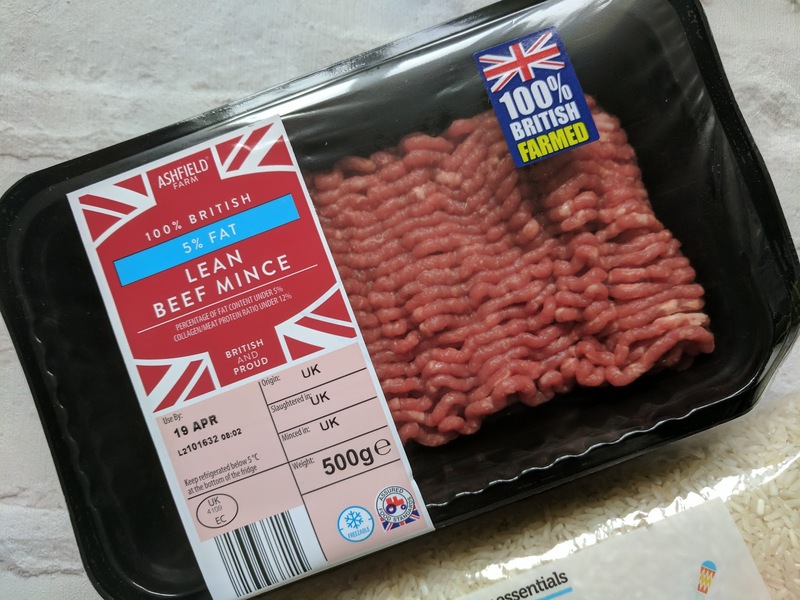 With Aldi offering some of the best prices on the market seeing the Red Tractor on all of their beef you can be confident that you are going to be cooking and consuming great meat. To celebrate Great British Beef Week and to also celebrate the fantastic prices at Aldi I am sharing with you a curried beef recipe, beef kheema. 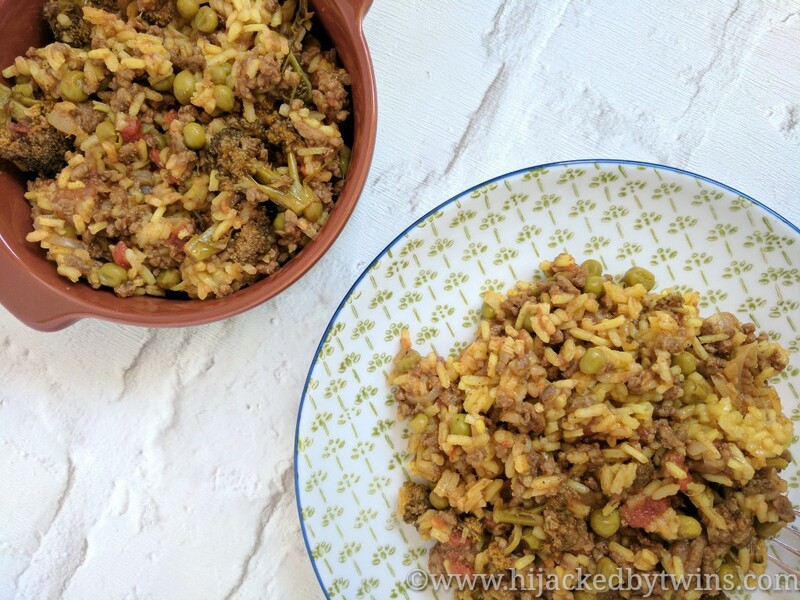 This is a simple yet full of flavour dish that can be served in a variety of ways. Green vegetables are not only super good for you but they are also deliciously versatile. They can be added to a wide variety of dishes and can be paired with so many different flavours. 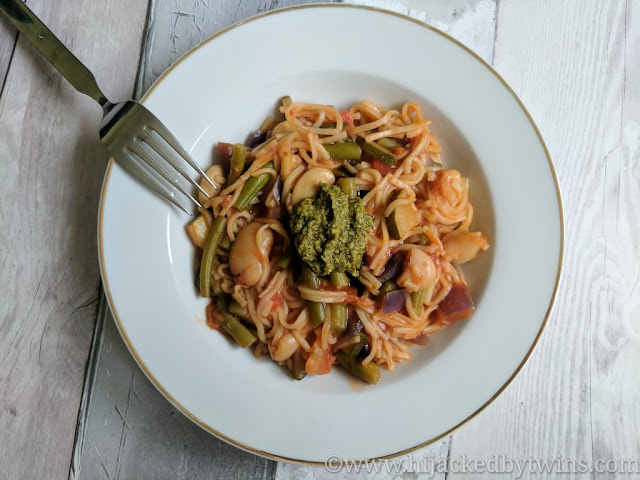 This recipe actually started off as a soup but as I added the all of the ingredients together I realised that they would make a delicious one pot pasta dish. So I added some vermicelli and hey presto we had a new meal! But what really does complete this dish is the pesto. Before you serve it simply add a spoon of pesto and then stir it in to the pasta and vegetables to add some extra flavours. 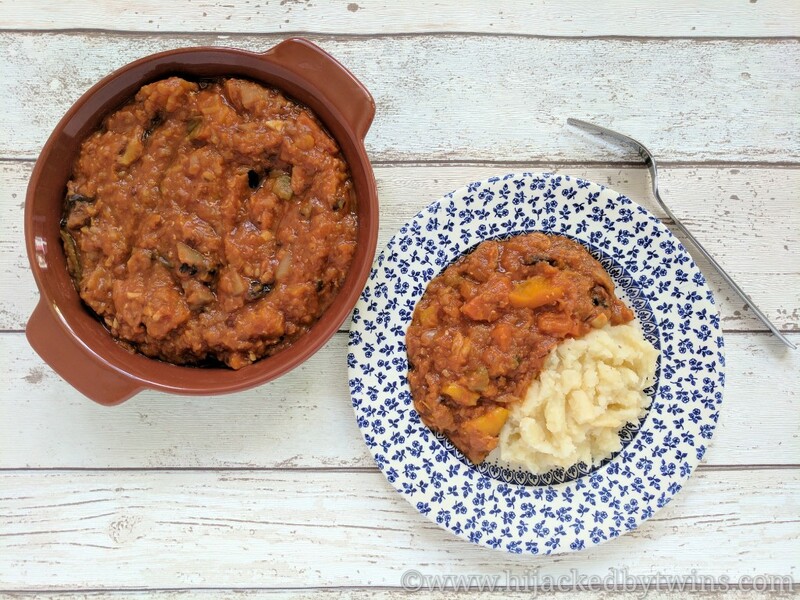 This meal is quick, easy and keeps the amount of washing up down to a minimum, perfect for a busy mid week meal. After a week away it is lovely to come home to a meal plan already in place. To make life easier I planned this week before we went on holiday. I did this for a couple of reasons, one so it saves me the stress of wondering what we can eat and secondly there is always so much to do after a holiday and with the children going straight back to school the following day it does not give us much time to unwind. The majority of this weeks meals are easy dinners using what I have already got in the freezer. This means I do not need to worry about going shopping as soon as we get home which will save us some much needed money. 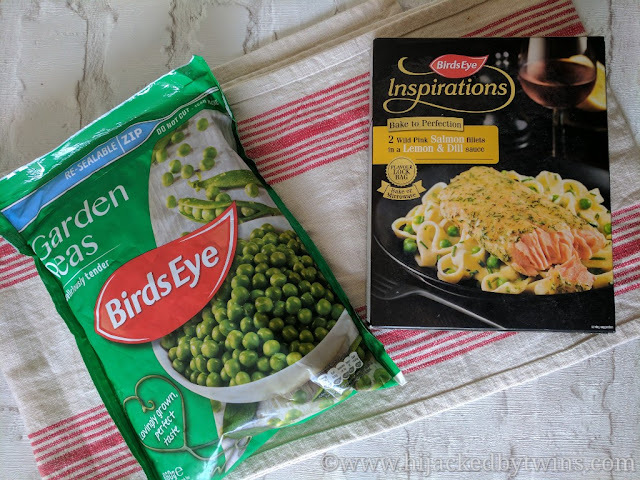 When Birds Eye got in touch with me and asked me if I would like to try out some of their spring recipes I knew that the school holidays would be the ideal time to try one out. During the school holidays we all want to have meals that are quick and easy. When you have days out or have just had a busy day at home you want to be able to prepare a meal that is both nutritious and tasty. Birds Eye do a great range of frozen fish, chicken, vegetables, potato products, pie, ready meals and even breakfast sweet treats. I decided to use some of their delicious fish products in a recipe. The Birds Eye Inspirations range allow you to feast on fish that is full of flavour and that has been paired with perfect extra ingredients. As you know I am following the Slimming World eating plan and will admit that it did play a part in what I decided to get. When I was looking at the syn value in the fish I was delighted to find that the Salmon in Lemon and Dill Sauce was syn free it went straight into my trolley! I decided to make a meal based on the serving suggestion on the front of the box. 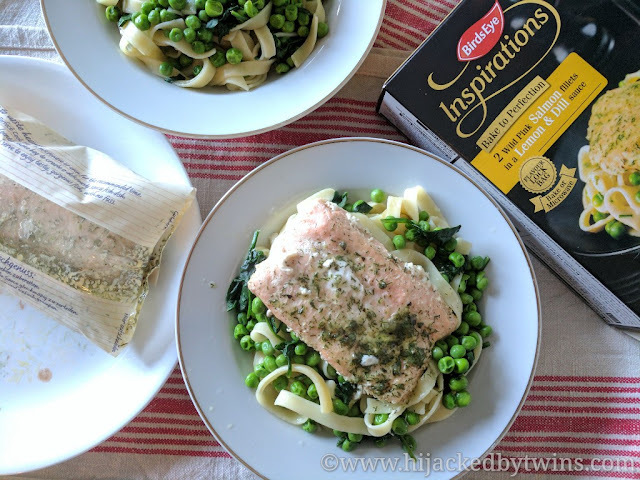 The picture shows the salmon on a bed of pasta and peas. Like them or love them there seems to be a national day, week, or month for just about everything. The foodie that I am, I love food and drink days. Even if they are foods and drinks that we consume on a daily basis it is always good to celebrate them and try something new. On Friday 21st April it is National Tea Day so it is only fitting to celebrate this much loved drink by creating a recipe incorporating tea. There are so many different teas, blends, flavours, makes available on the market. If you are a tea drinker you really are spoilt for choice! 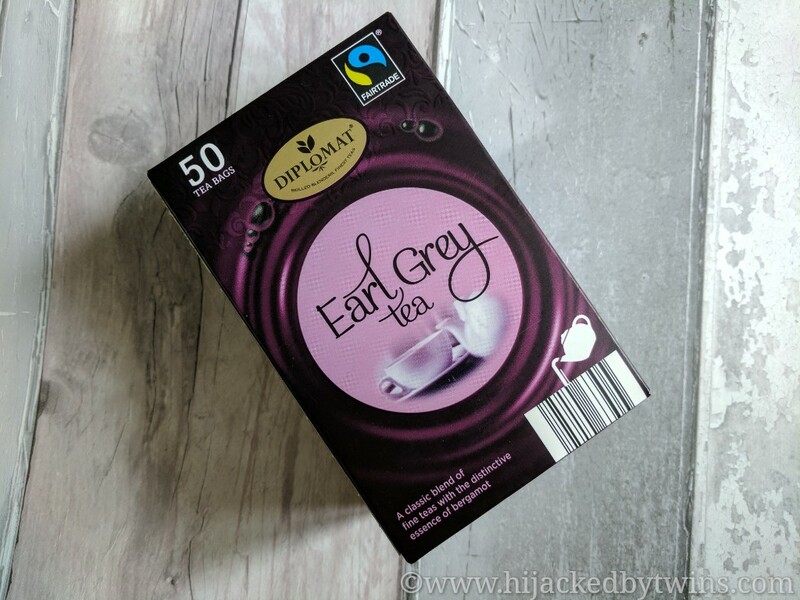 Aldi stock a good range of teas at a great price. From Mao Feng green tea to Earl Grey, from fruit infusions to the traditional black tea, we have even found special green teas that contain coconut, manuka honey or mint. Whenever we think about afternoon tea we immediately think of cake. This cake recipe is the ideal accompaniment to you cup of tea. Welcome to week 16 of #MealPlanningMonday. This weeks meal plan is not my usual plan. As it is the Easter holidays we have got a bit of time away so this week there is no specific meal plan in place. We have got a couple of meals booked but the remainder of the week we will be cooking for ourselves. To keep costs down I will be doing a small shop to get foods and snacks that we may need. But as we are a family of five I am sure you can imagine how much stuff we take away with us so we do not have the room for a lot of groceries. Plus we cannot take perishable foods, we will need to purchase those once we arrive. So this weeks meal plan is going to be a list of meals that will be easy to prepare, foods that we can easily pack and meals that everyone will enjoy. Lasagne - Pasta dishes are great easy meals. 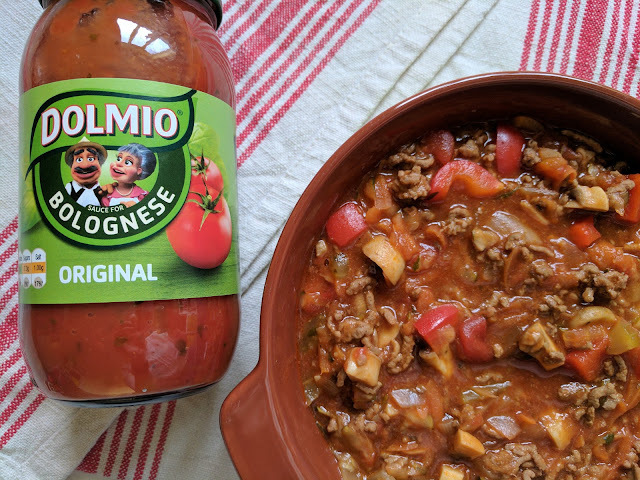 When cooking lasagne you can buy some delicious sauces that allow you to easily make this classic dish. You can buy the tomato base sauce, white sauce and a box of lasagne sheets will easily pack. I love hot cross buns and can happily eat them all year round. At Easter they are an essential part of my shopping list. This year Aldi have lovingly created a hot cross bun that is out of this world! If you love a good, rich hot cross bun you must take a trip to your local store and pick up a pack of their brioche hot cross buns. Priced at just 99p for 4 you cannot go wrong. You do not have to take just my word for how great these hot cross buns are. They have been dubbed the 'Posh Cross Bun' for Easter 2017. These indulgent, sweet buns are packed with juicy sultanas, raisins and currants and combined with the all butter brioche you will find them to be simply irresistible! Over the last few years brioche breads have certainly become the most popular sweet bread on the market and during 2016 Aldi sold 16 times more brioche than the likes of Marks and Spencer and Waitrose! Aldi's brioche range accounted for 37% of sweet bread sales in the UK! 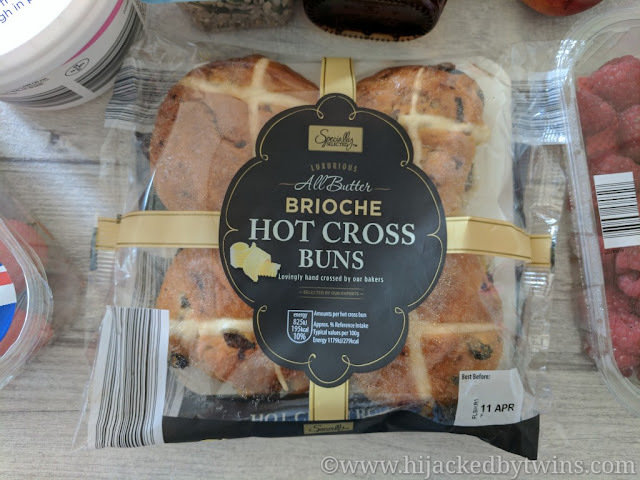 To celebrate their 'Posh Cross Buns' Aldi have teamed up with Great British Bake Off finalist Miranda Gore Browne to bring you some delicious recipes, both sweet and savoury, and all featuring their 'Posh Cross Buns'. 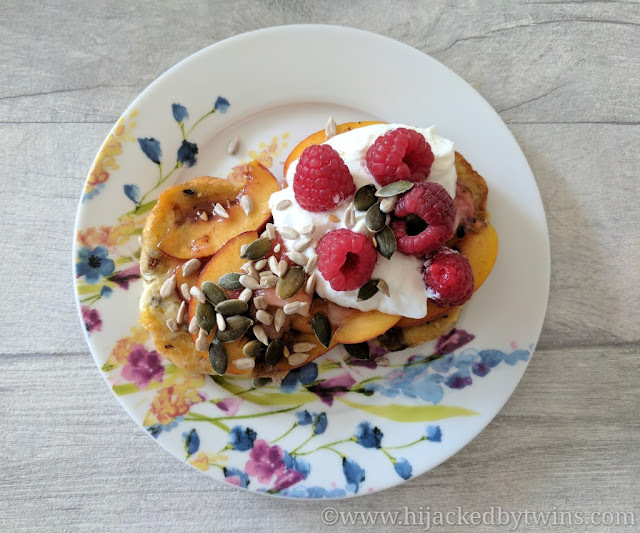 When I was asked to feature one of the recipes I could not resist trying the French toast recipe. It was so delicious I am going to share it with you! 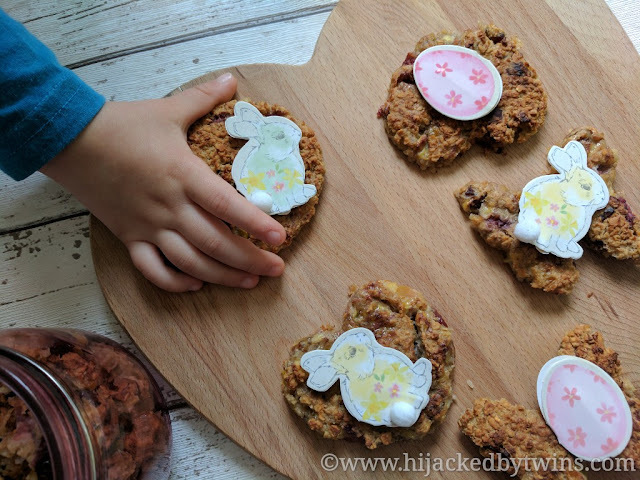 The Easter holidays are here and now is the time when a lot of us are either taking our first holiday of the year or start to plan what we can do over the year. As the children are getting older I find that we can do a lot more together as a family. In fact we have just made a purchase, which we see as an investment in our family, of a tent. This is going to mean so many more, new adventures for us. 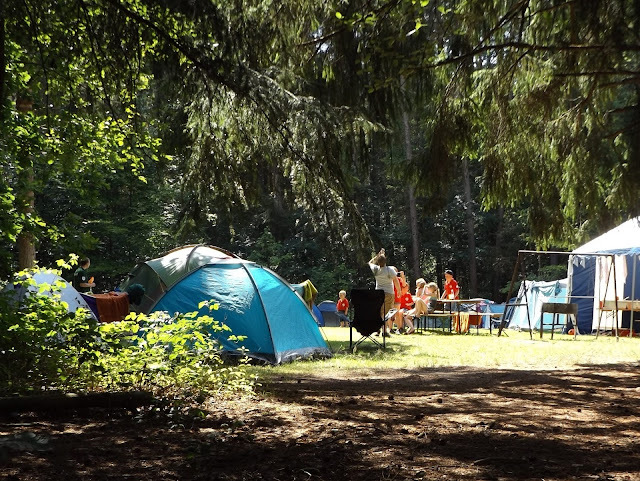 It is going to bring us closer to nature and the children will be making some amazing memories. This has led us to thinking what we can do and where we can go. With this new found holiday freedom the possibilities are endless. I love to be by the sea and really want to explore more coastal locations. Our favourite coastal location has to be Northumberland. 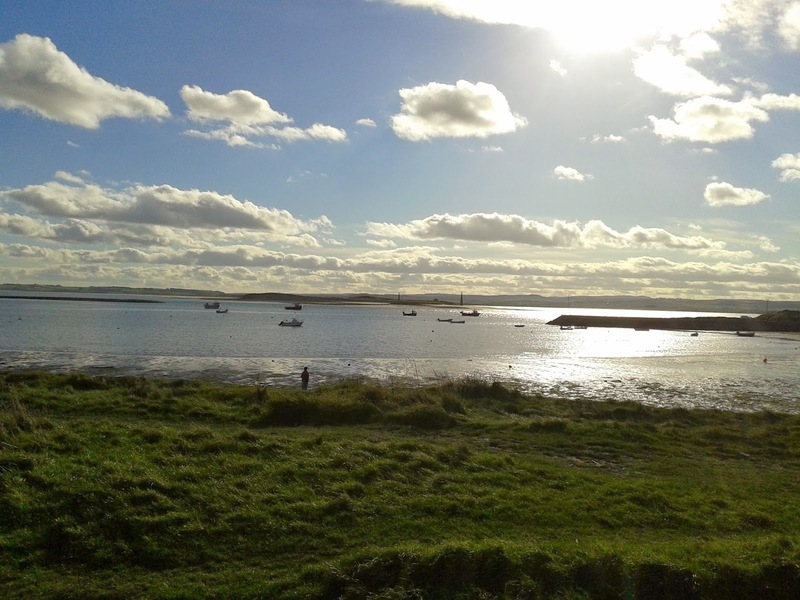 The northern county boast some of the most picturesque, idyllic coastal lines in the country. The crystal clear sea is somewhere that I am curious to explore more. Thankfully J shares my love of the water and as he matures I can see this being an activity that we can do together and have some one to one, mother and son time. Scuba diving has to be the best way to explore the sea! Since starting Slimming World 25 weeks ago I have noticed my body and tastes change a great deal. Now that I have stepped up my weight loss plan to include more activity what I eat and drink has changed even more. On the days that I exercise my appetite is bigger but for good foods. 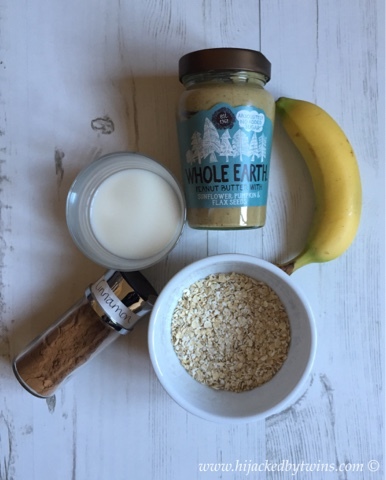 Before I exercise I have an oat based breakfast and try to include banana for energy and a natural peanut butter to help the long term release of energy. My favourite way to start a gym day is with a lovely big bowl of my Full of Energy Porridge. Whether you are exercising or not what you drink is also an important part of your diet. When I drink alcohol my whole body feels it and it effects the way I eat. So I am trying to make a conscious effort to not drink as much, limiting it to the odd drink. I have started to add super green matcha to my drinks again and on a gym day the matcha really does give me an added boost! 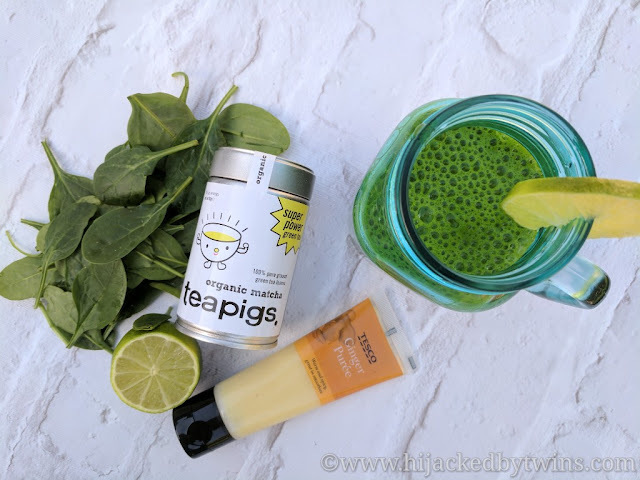 In the past I have written about matcha and what a great drink and ingredient it is. I have used it in porridge, cakes and drinks. When I have matcha in my diet I find that my energy levels are higher, my moods are better and I generally feel better in myself. Over the last few weeks I have been starting the day with a delicious, green smoothie. It has become a loved part of my daily routine hence why I am sharing it with you today! 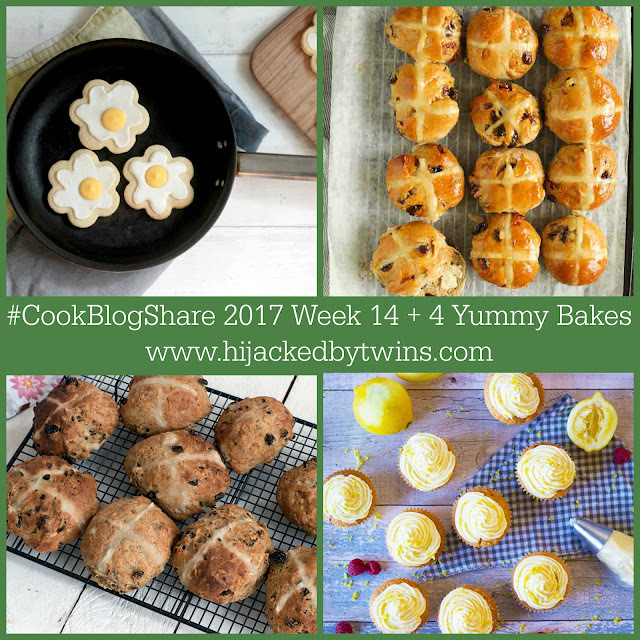 Hello and welcome to week 14 of #CookBlogShare. Where have the weeks gone? We are now in April and this is my last #CookBlogShare for the next 3 weeks. 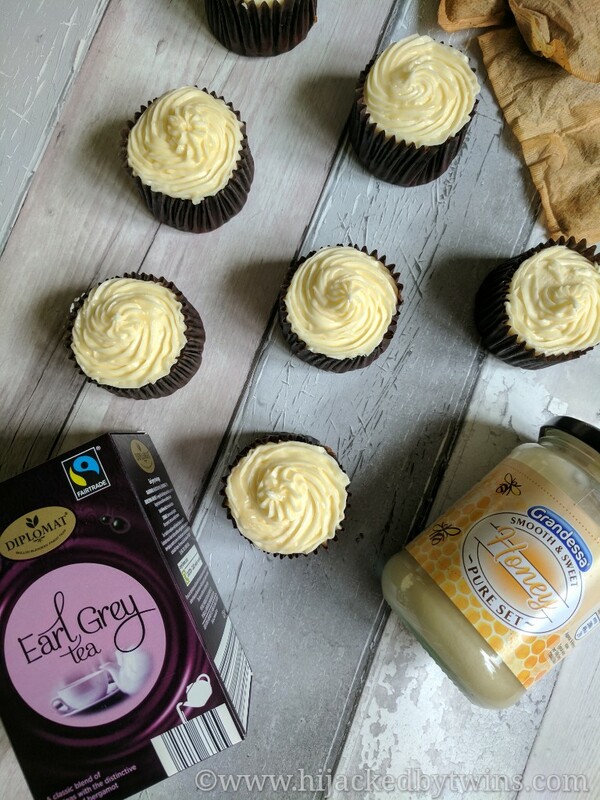 Next week the linky will be hosted by Eb at Easy Peasy Foodie then the following two weeks will be guest hosted by Jacqui at Recipes Made Easy and Monika at Everyday Healthy Recipes. We have got a week away which overlaps the linky so instead of trying to cram everything together I am going to have a couple of weeks off, go away and have a bit of time off with my family. I am confident that Jacqui and Monika will keep everything ticking over while I am away.